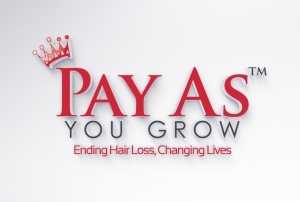 Yorkshire Hair Replacement Clinic Ltd is now offering a “Pay as you Grow™” payment method specifically for clients on lower incomes. The payment methods is available for clients needing laser retention services to give them the service they need while making sure that they will not have to worry about how they can completely pay for it. While there are people who don’t have the full capacity of paying for whatever medical services they need, the new payment method that Yorkshire Hair Replacement Clinic Ltd offer is sure to be of great help for many. This method is the first in the industry and is sure to be a very comfortable and convenient solution for clients on lower incomes. Yorkshire Hair Replacement Clinic Ltd is known for providing the highest quality customer service for every client who would pay a visit to their clinic. Being known for their professional service towards clients, the clinic is also known for the financial concerns of their clients. Due to this, they are now offering the latest payment method called “Pay as You Grow™”. This method is where clients will have to pay for the treatments that they visit weekly until they can completely pay the exact amount. The company will not add any interest on this payment plan to guarantee clients that they will only pay for what kind of service they availed. Through the new payment plan that the clinic is offering, people having hair loss problems are sure to find the most affordable hair replacement services in their area, more specifically in the United Kingdom. This is sure to give people the awareness that there is a specific hair replacement clinic offering a convenient payment method. Yorkshire Hair Replacement Clinic Ltd has established its name in providing customer services and customer satisfaction that is second to none. What makes the clinic more impressive is that they give much importance with the financial concerns of their clients through their latest payment method. For those needing more information about the company and the services that they offer, feel free to visit www.yorkshirehairreplacementclinic.co.uk.